Hewlett-Packard appointed a new executive on Monday to lead the development of its webOS software, with former Palm CEO Jon Rubinstein taking on a broader role in the HP group that makes PCs, tablets and handhelds. 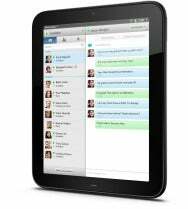 The changes come a week after HP’s first TouchPad tablet, which runs the webOS, went on sale in the U.S. The operating system is also used in HP’s smartphones, and will make its way into PCs, printers and other products, HP has said. Stephen DeWitt was named senior vice president and general manager of the webOS global business unit, which has been renamed from the Palm global business unit. DeWitt replaces Rubinstein, who had been in charge of the group since joining HP through its Palm acquisition last year. DeWitt will be responsible for all aspects of webOS, including engineering, research and development and sales, HP said. He was formerly head of the Americas operations for HP’s Personal Systems Group, which sells products including PCs, tablets and smartphones. Rubinstein becomes senior vice president for product innovation in the Personal Systems Group, where he’ll be responsible for a wider range of products. He continues reporting to Todd Bradley, who runs the PSG division. “With the successful debut of our first wave of webOS-based products, we are drawing on our deep executive bench to position the right lead in the right roles to accelerate the long-term growth of webOS,” Bradley said in a statement. HP started shipping the TouchPad tablet in the U.S. last week. It aims to put the software in a range of products to enable easier sharing of documents and other data. It wants developers to write applications for the software as it tries to expand its use.